“Welcome to Jumbo, Texas, home to the most memorable cast of characters you’ll ever meet. And home to the Monroe family. Everything is all lined up in Merilee Monroe’s life – including her prized collection of Pez dispensers – and if anything is out of order she gets, as Grandma Birdy would say, all “nervy.” To Merilee, a derailment from her Very Ordered Existence feels like being on fire. Merilee Monroe is trying to sort out her life, while keeping her distance from her family, when a new boy comes to Jumbo, TX, disrupting her Very Ordered Existence. Biswick, a few years younger than Merilee, inexplicably attaches himself to her. He attends a special school, which he explains to Merilee is the result of his mother’s drinking while she was pregnant. Merilee exhibits characteristics of Asperger’s Syndrome and is not accustomed to being befriended. She has a schedule and she means to keep to it, in spite of the many interruptions that result from Biswick’s persistent interest in her life. The cast of characters includes a grouchy grandmother who is especially nasty to Merilee, a saintly mother, a distant father, a creepy younger sister who is perhaps embarrassed to have a sister who is so different from the norm, and a cook who is dealing with her own issues, but recognizes the uniqueness that makes both Merilee and Biswick special in the most positive sense of the word. Without mentioning Asperger’s, Crowley gives readers a window into this puzzling syndrome. School-wide bullying, absent parents, foster care, alcoholism, and senility all affect the people in Merilee’s small community. Rich writing and multilayered plot and characters are the hightlights of this special book.
. . . heart-stirring. This book is marvelous.-Ruth Cox Clark. An amazing book, especially since it is Crowley’s first book. Merilee lives in a small town in west Texas named Jumbo. This place is filled with characters, and I do mean characters. One after the other colorful, outrageous, funny, loveable—there isn’t a dud among them. Crowley gets everything possible out of this place with spot-on dialogue and memorable images that come one after the other. Merilee is brilliant, she reads all the time and draws dragons in her notebook, but she needs her “very ordered existence,” e.g., a rigid schedule, and she doesn’t talk much and doesn’t let anyone get close to her…except maybe her mama. This changes when a poet and his young son come into town, and the little boy, Bis, follows Merilee around and becomes a part of her family’s life, because his father is a neglectful parent and alcoholic. It’s a lengthy story, but so many scenes are heart stopping, it doesn’t seem to be long. I predict this book will be treated seriously as one of the finest works in children’s literature to be published this year. Life in tiny Jumbo, Texas, has complicated feuds and friendships spilling through every screen door, keeping Merilee on edge as she tries to protect the strict routines that get her through each day. And the arrival of needy Biswick and big-hearted Veraleen disrupts Merilee’s VOE (“very ordered existence”) forever. Filled with rich language and endearing characters, I haven’t loved a book this much since Ida B. and Each Little Bird That Sings. It’s hard to imagine a better debut for Crowley. Purely felt, beautifully worded, this narrative is everything a 13-year-old girl with autism would say if she could get all the words out. Merilee Marvelous Monroe, a character inspired by the author’s daughter, believed to have a high- functioning form of autism, is emotionally withdrawn but absorbs everything going on around her. The townsfolk of Jumbo, Texas, where she lives, at times have thought her a genius, as she could memorize whole chapters of classics at age 3, but mostly they dismiss her as strange, as she’s obsessed with dragons, blurts out words like “marvelous” and clings to monotonous routines she calls her V.O.E., Very Ordered Existence. Ironically, Merilee’s quiet presence gets townsfolk to confide in her. The last thing she wants is to carry their burdens, but then Biswick, a boy with special needs, arrives in Jumbo along with Veraleen, a brassy nurse, tight-lipped about her past, and Merilee’s V.O.E. gets derailed – but ultimately in a marvelous way. 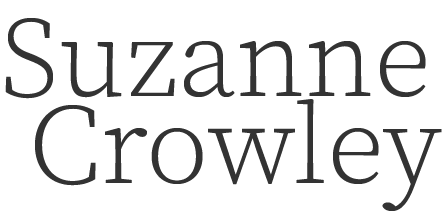 Final word: Crowley is a wonderful storyteller, both in her conversational style and in crafting characters that you can’t shake from your thoughts – and don’t want to. 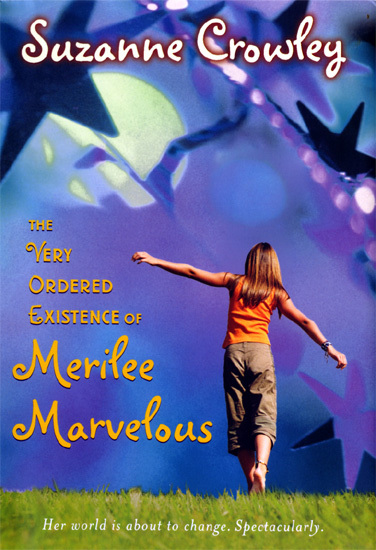 The Very Ordered Existence of Merilee Marvelous” is magical, and I am the better for reading this marvelous story.  First time novelist Crowley proves herself a virtuoso at creating an ensemble cast richly adorned with quirky particulars, and several chapter openings have an emphatic absurdity that makes them beg to be read aloud. Book Sense's #3 Top Children's Pick for Fall of 2007! TeensreadsToo gives it five stars!